Millet is particularly suitable for preparing gratins, patties and soups. It can be used like risotto as a side dish or boiled in milk as porridge. Millet can also be used for gluten-free baking. Millet belongs to the sweet grass family and covers many subtypes, the most frequently available being proso millet, foxtail millet, and pearl millet. Already 8000 years ago, millet was used to make unleavened bread, it is thus one of the oldest grain types. Furthermore, millet has the highest content of mineral nutrients of all grain types. Especially phosphorus, magnesium, potassium, iron, of which millet contains twice as much as wheat, and silica. In addition, millet is rich in vitamin E, pro-vitamin A and B vitamins, and it is gluten-free so that people with celiac disease can eat it. 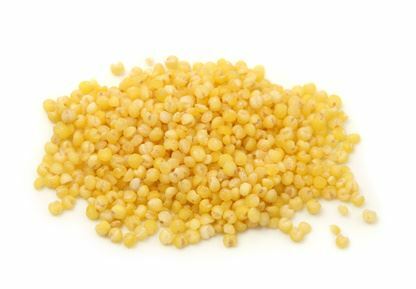 For dietary programs, millet is also very suitable because it is swellable and therefore gives a feeling of saturation.